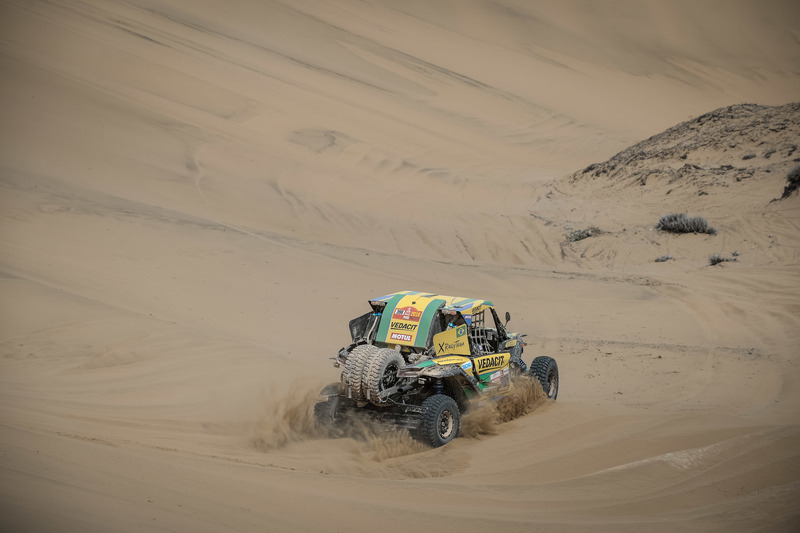 The X Rally Team duos kept themselves inside the Dakar top-10 in the UTV category after the ninth and penultimate day of competition, in Pisco, where they drove for 313 kilometers full of (unpleasant) surprises. 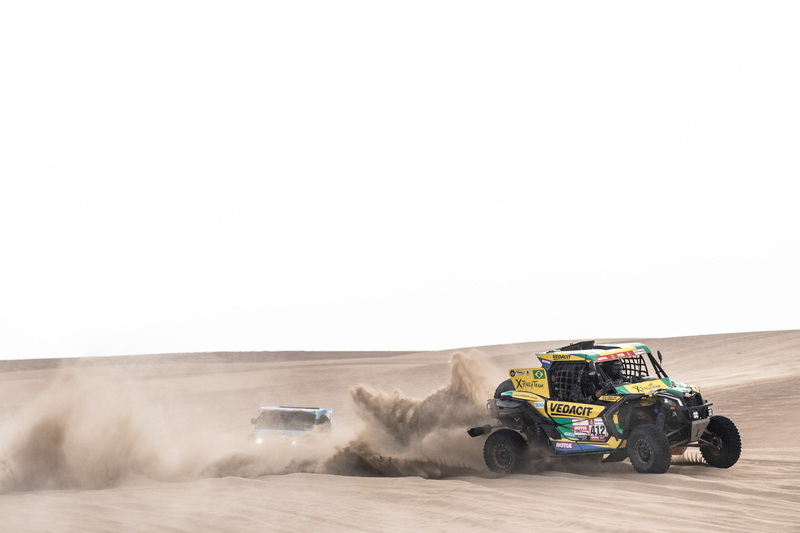 After all, both Baumgart brothers got to the finish line with one day to the chequered flag in Lima, Peru. 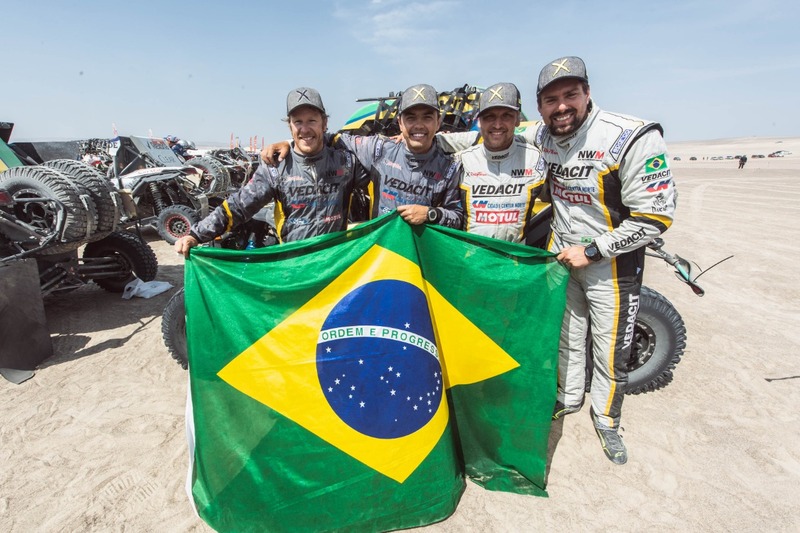 Marcos Baumgart and Kleber Cincea fought all day with deflating tyres until they were helped by the Portuguese-Brazilian duo of Miguel Jordão and Lourival Roldan. “They gave us one spare tyre, since we had already used our spare, that was flat again, and we got to continue. All in all, for us it was a difficult day, but we finished, and that is the most important for today. 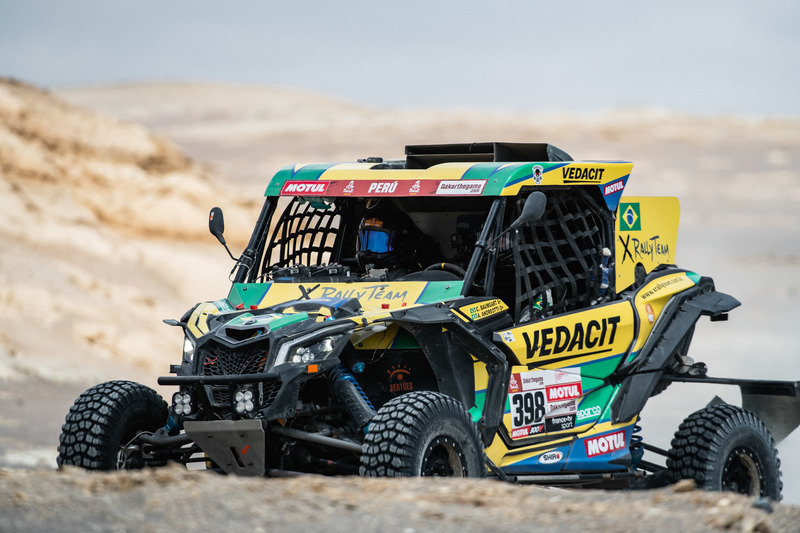 Tomorrow we will push to the end”, promises Marcos, who stands in sixth overal, only 32 minutes behind the fifth-placed UTV. For Cristian Baumgart and Beco Andreotti, it was from heaven to hell and back. 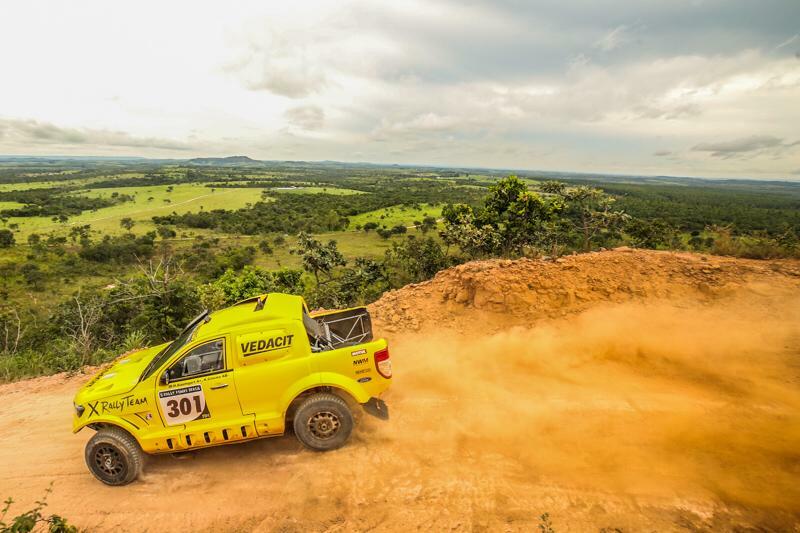 After finishing second the day before, the duo was going well, among the top-4 in the stage, when they hit a ditch between waypoint 5 and the end of the especial, and their steering bar was broken. 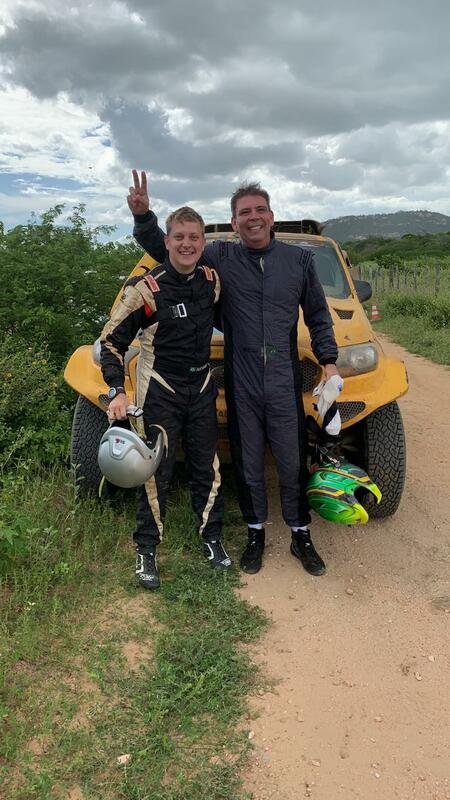 They lost nearly two hours to repair, thanks to Reinaldo Varela and Gustavo Gugelmin, who stopped to help and hand them a spare steering bar. “Their help was fundamental today. We were going well, and then we had that problem. 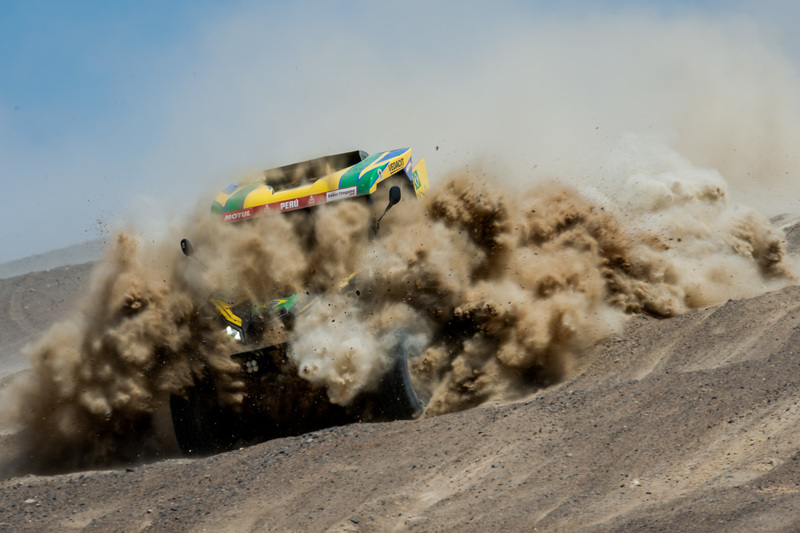 This is Dakar: one day you are in heaven; then you go down. Fortunately, we could go up again and finish the stage. 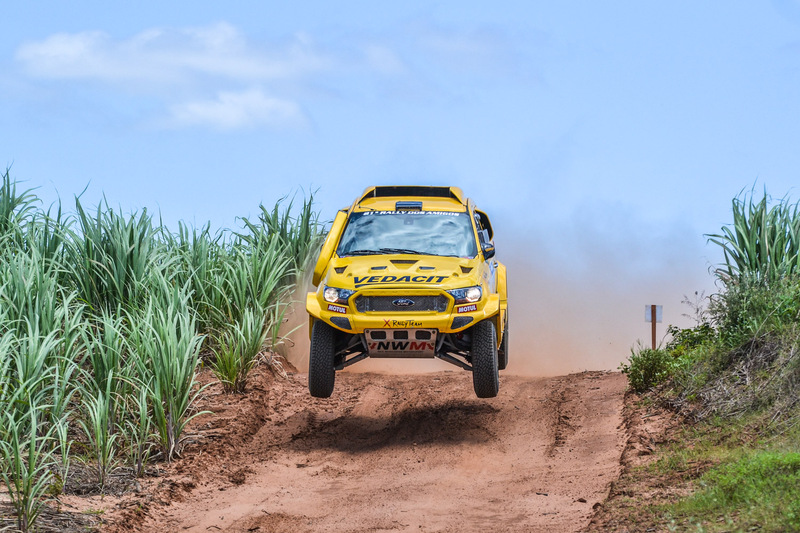 Tomorrow we are going to cruise to the finish and celebrate”, said Cristian, who finished 16th this Wednesday and stands now in ninth position overall. 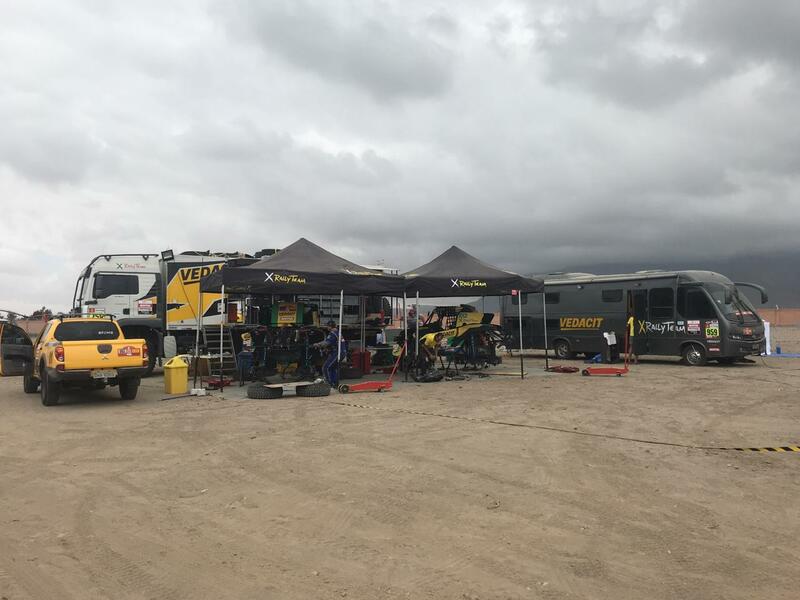 The final day tomorrow of the Dakar reserves a 112-kilometer stage (359 total) to Lima, the Peruvian capital.